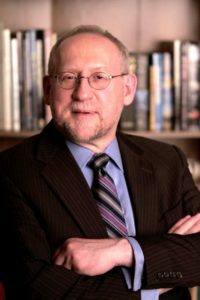 Paul Finkelman, Ph.D. will return to LancasterHistory.org to discuss his research on The Pennsylvania Connection: Black Freedom, Reconstruction, & Keystone State Leadership. This year we celebrate the sesquicentennial of the passage of the Civil Rights Act of 1866 and the passage by Congress of the Fourteenth Amendment to the Constitution, which revolutionized citizenship in America, put the final nail in the coffin of American slavery, and set the stage (ultimately) for the Civil Rights Revolution of the 1960s. With the second largest delegation in the House of Representatives, Pennsylvanians played a major role in Congress during the 1860s. The key player in the struggle to create meaningful civil rights in America was Thaddeus Stevens, who represented Lancaster County in the House of Representatives. Few members of the House are more important in our history—and more controversial—than Stevens. Learn more about Stevens and why he helped to strengthen America by implementing Lincoln’s call for “A New Birth of Freedom.” Hated by former slave owners, adored by advocates of freedom, and feared by even his colleagues, this lecture argues that he was Lancaster’s greatest contribution to American history. The Presidential Lecture The Pennsylvania Connection will take place on Thursday, September 8 in Ryder Hall at LancasterHistory.org, 230 N President Avenue. A social gathering with refreshments will begin at 4pm, followed by the lecture at 4:30pm. This event is free and open to the public.